Savantos & Widex hearing aid manufacturers announce global merger! Sivantos and Widex merge globally – What about the Australian consumer? Home > Blog > Sivantos and Widex merge globally – What about the Australian consumer? Sivantos and Widex – Merger! 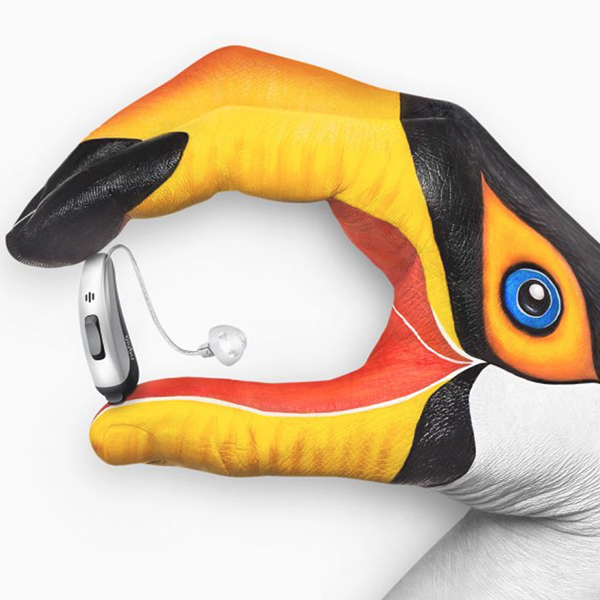 Sivantos and Widex merge – Global hearing aid giants Sivantos formally Siemens, has sealed an $8 billion dollar merger deal with Widex another global leader in hearing aid manufacturing and retail sales in Australia. This proposed move arguably places their combined forces in the hearing aid industry at the number three position globally, challenging the market leaders Sanova and William Demant according to Reuter.com 3. The merger between Widex and Sivantos will combine 170 years of history and support the combined companies consistent innovation goals to be first to market with new hearing aid technology. The intended merger between Sivantos and Widex is now subject to regulatory approvals and other customary closing conditions. The approval process has started on the 17th May, 2018 and is likely to take several months to finalise. Until this point in time, both manufacturers have stated industry wide in Australia that the practices of business will remain the same. According to Reuters.com 3 and the New York Times4, the Frankfurt and Copenhagen based companies create a combined wealth of 6.1 billion including some 3 billion euros of debt. With innovation, the key to increased hearing aid sales and the differentiation of hearing aid devices; the push for increased research and development between the highly competitive global leaders is clearly at the forefront of this major business decision. The competitive drive from the latest technologies in hearing aids such as Bluetooth and rechargeable devices has merged these two global hearing aid manufacturers, who are clearly seeking to build on their cutting-edge technologies and boost their research and development capabilities. It’s fair to say that the gap between old and new hearing aid wearers is closing with the increase of new technological features, bridging the gap and driving a more competitive market. Private equity group EQT from Sweden which also includes co-investors will hold the majority share of the merged group. The Widex families of Topholm and Westermann who currently own the Widex hearing aid manufacturing business will be the largest shareholder group according to the New York Times 4. As stated by Reuters.com the yet to be decided name for the merged businesses will have 1.6 billion euros in annual sales and boast an employment number of over 10,000 people globally which will also include 800 in research and development. A statement by the Widex chairman Jan Topholm to Reuter was: “It is very possible that there will be an IPO, but the only thing we know is that we will continue to be a large shareholder 3“. What does this mean for Australian hearing aid retailing? Well currently in Australia, the Sivantos company owns no bricks and mortar business and services a large chain of independent hearing centres including the large medical Audiology players and of course EarDeals.com.au. On the other side of the table, Widex owns and manages the Bloom Hearing Centres across Australia, which manages over 200 hearing aid retailers Australia wide; according to their website2. The big question is will this merger be good for the Australian consumer? Well in Australia as stated by the ABC in 2017 The program called Checkout, there is a number of vertically integrated companies that already exist in Australia (video below). A vertically integrated company for the purpose of this explanation is a manufacturer who also owns and retails hearing aids in bricks and mortar stores, usually found in shopping centres. According to the ABC, the Checkout “Around one in three of the audiology clinics in Australia are owned by hearing aid manufactures1”. As stated by the ABC “Now of course just because a clinic is owned by a manufacturer, doesn’t mean they don’t care about their patient’s needs, but the conflict of interest is obvious.1” The ABC later states “It’s as if drug companies were allowed to run pharmacies”. “Hi – What do you recommend for athlete’s foot?”, “Viagra”1. Time will tell if this merger eventuates and we are yet to hear how the brands will merge physically, for instance, if the Signia brand of hearing aids by Sivantos will simply be distributed through Bloom Hearing locations or if Sivantos products will remain as a brand only distributed by independent hearing clinics such as EarDeals. EarDeals proudly stocks the Sivantos brand Signia and we have no intention of reconsidering this in the foreseeable future. However, we still stand by our promise of choice and providing you with an unbiased selection of products at Australia’s cheapest hearing aid prices! That’s our 10% Price Beat Guarantee on any Australian hearing aid quote. We look forward to seeing how this merger eventuates. The combined merger will result in the most powerful research and development teams in the global hearing aid industry with over 800 people across centres in Singapore, Germany and Denmark. The merger will secure more than 100 million euro of annual R&D spending. So there are some exciting prospects to come in hearing aid technology for those with hearing loss. It’s still early days in this merger process and time will tell if the process is successful. Make no mistake large hearing aid manufacturers have gone down these dusty roads before and found no success. Time will tell and until further notice, it’s business as usual in the Australian hearing aid industry. 1The Checkout – ABC TV. (2017, June 8). Hearing Clinics: Had It Up To Hear [Video File]. Retrieved from URL. 2Bloom Hearing (2018, May 17). Clinic Locations [Web Page]. Retrieved from URL. 3Reuters.com (2018, May 17). Deals [Web Page]. Retrieved from URL. 4 New York Times (2018, May 17). Business Day [Web Page]. Retrieved from URL.